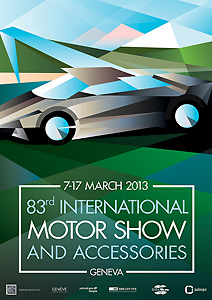 The Geneva Motor Show 2013 is soon to begin. As a preparation for the event, we are making press images of upcoming cars available to you in our concepts section. Press images in Car Menu can be accessed through subscription accounts and our free press login. We will soon follow up with our high detail photographs and keep you updated about the showcased production and concept models from the show. Stay tuned.